I haven’t done much this weekend, though I did book a few hotels for Leeds, Cardiff, and Swansea. Still need to do trains, and Ireland! Only 7 sleeps left…yikes. 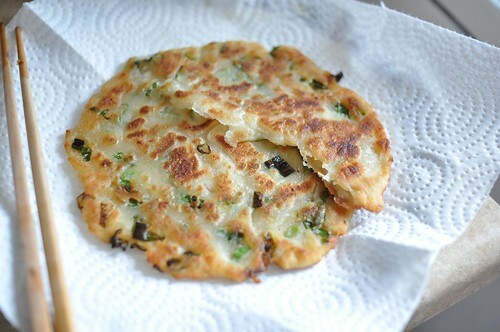 This weekend I made scallion pancakes, and had them in a Chinese feast along with egg drop soup and some broccoli. Nom. It’s a good thing I only made half a batch, because I would’ve just eaten them all. 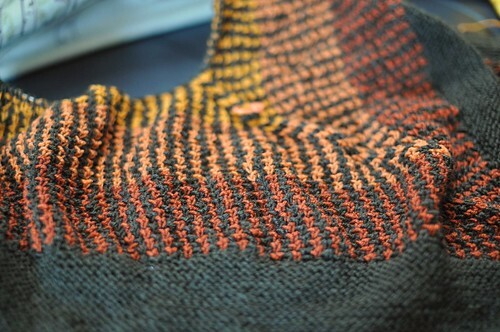 I worked on a shawl in Spud & Chloe Fine. I love it, and I think I’ll be making another version on my trip as one of my take-along projects. I need to block this one so I can see what the finished dimensions are – this is the larger version, and I’ll be doing a smaller scarfy one next. And for the first time in what feels like forever, I finished something! 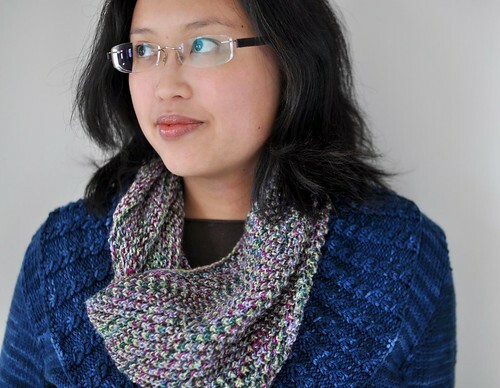 This is the simple lacy cowl that I started on my trip to NYC. It was great carry around knitting, just one ball of yarn and working in the round. I used one skein of Socks that Rock Silkie in “Walking on the Wild Tide” (rockin’ sock club colourway). The lace pattern is just one round knit, one round yo, ssk, with the beginning of the round shifting one st to the left every lace round. 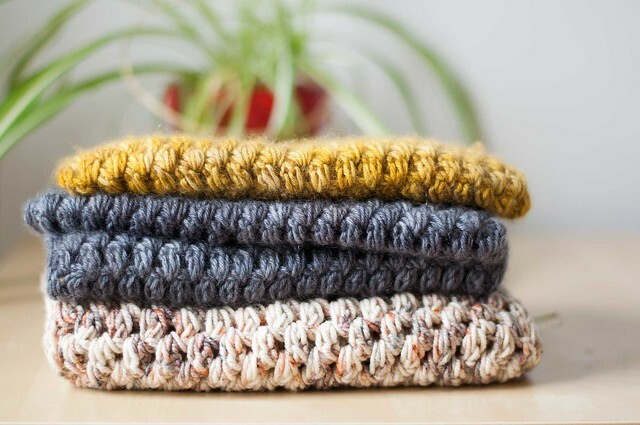 I have some more FOs to show you this week too – I’ve been pretty bad at taking photos of my finished sweaters, so I finally just up and did them all in one fell swoop! The cowl is very pretty. Would love the pattern. I didn’t understand the brief description. Oooh! I’ve been wanting to try my hand at making scallion pancakes for months now. Perhaps this will be the kick I need, because yours looks delicious! That looks yummy! The pancakes and the FOs! Have fun planning your trip! The cowl is lovely. And what is the gorgeous sweater you’re wearing with it? Love the neck candy so pretty. The scallion pancakes and the cowl both look great. I would love to know how you make your pancakes (since you already confessed how to make the cowl!). I never order the pancakes in restaurants – they are always way too greasy – but I am a big fan of scallions, so I have always hoped for a way to make good ones (and yours look wonderful). Have you thought abut a trip to St Andrews whilst up in Scotland, really possible from Edinburgh. Beautiful beach to walk on, individual shops, where Prince William met Kate Middleton at university…. I have a skein of Silkie (in that colorway)and have been struggling with what to do with it(socks just didn’t seem right). 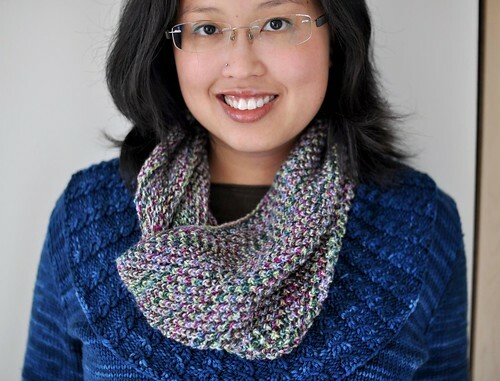 The cowl is a great idea with a shifting stitch pattern. Would you be willing to share how many stitches you cast on for it?